People have been protesting against the government in Serbia for more than two week now, but there is not much to talk about this in the media, not even in Serbia. 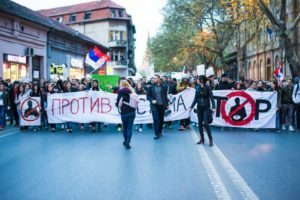 Thousands of young people, students and other citizens of Serbia have been walking on the streets of cities to protest against the government and the recently elected president Aleksandar Vučić. The elections were held on Sunday, the 2nd of April when Vučić has won 55% of the votes. The protesters say the election have been “undemocratic”. In the night after the elections, a Facebook event called “Protest against the dictatorship” was created. It was not sure how many people would show up, but during the first days, there were hundreds of people, not only in Belgrade but also in the other cities like Novi Sad, Niš, Kraljevo and more. The protests are not led by any political party and they continued to be held every day at 6 pm, with thousands of people joining. 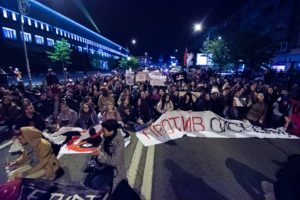 Some of the protestors said “You are not my president”, “We do not want a dictatorship, we want democracy”, “Against the system”, as well as many others criticising the media and the presidential campaign of Aleksandar Vučić. Nikola Jekić, from AEGEE-Novi Sad, says that he is happy to see so many young people are actively participating in the protests: “They are full of enthusiasm and they want to make things better. 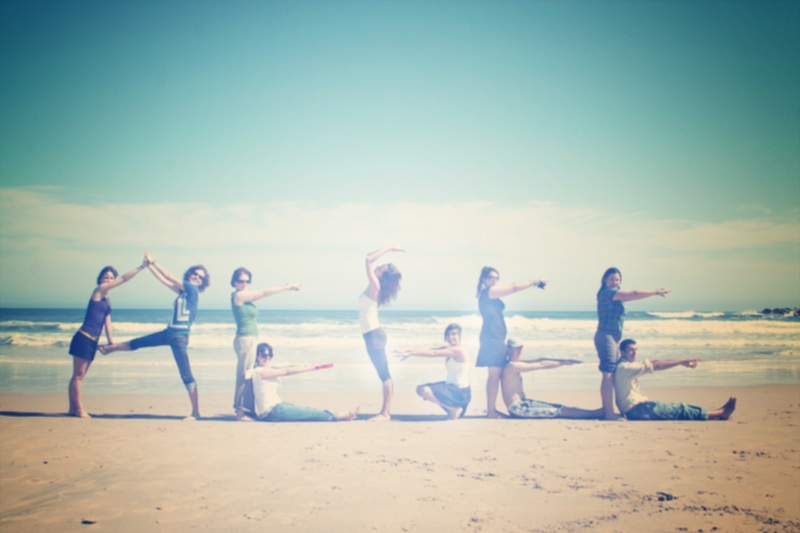 Most importantly – we do not want any kind of violence. Similar public gatherings were also held in the previous years, but this time it became just too massive for the government to ignore us.”. On Saturday 8th of April, the biggest protest so far was held – with thousands of people on the streets of Belgrade. This time, the protest was supported by the syndicates of the police and the army of Serbia because of, as they say, “unsatisfying condition of the security sector and the conditions in the society”. 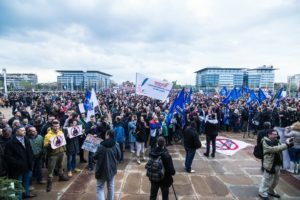 Isidora Braljinac, a member of AEGEE-Belgrade, told us about the huge response of people to that protest: “The number of people is reaching several thousand per day, but that one reached more than 60.000, which was reported by very few TV stations and newspaper.”. She also says that the youth of Serbia is not happy because of the fact that their homeland is being destroyed in many ways, which is why they are almost forced to go to other countries to look for a better future: “Government, media and many other institutions are ignoring us more than ever. If they say something, they say that we are hooligans, drug users, alcoholics and that we “probably have too much free time”. It is not about spending free time on the streets, while it is raining, it is about freedom.”. For years now, one of the problems in Serbia has been the censorship of the media. During the presidential elections, almost every newspaper printed the logo of Aleksandar Vučić on their front page on the last day of the elections. The problem is culminating since the citizens are protesting because of this. The public service broadcasters – RTS (Radio-television of Serbia) and RTV (Radio-television of Vojvodina) are not reporting anything about the protests. They are giving partial information or no information at all. Danilo Đalović from AEGEE-Niš, says that there is the same problem with the media on the local level: A few local media from Niš are reporting about the protests, and the TV-stations only mention it occasionally, but they are all under the control of the ruling party.”. He also adds that he thinks young people in his city find this very important: “They do not want to give up because this is actually a fight for freedom and democracy, a fight for the freedom of opinion, speech and basic human rights. The young people should not have to leave their country to have a better life, they want to change the current state of things and to create a better future for themselves.”. Some of the requirements of the protestors are: abolition of the dictatorship and resignations of the political elite together with Aleksandar Vučić, resignations of members of REM (Regulatory authority for electronic media), RIK (Republic electoral commission), the head of RTS (Radio-television of Serbia) and the president of National Assembly of Serbia.